Interest groups, lobbyists and big business spend big money to do it, why not you too? We asked former lawmakers and citizen advocates: how can an ordinary constituent, without the same cash or cachet, have an impact? Here's their advice to help you influence what happens at the Capitol. 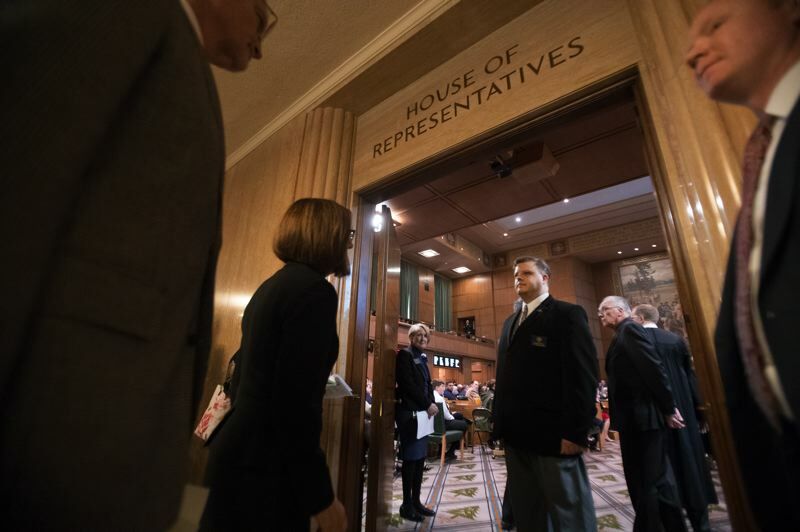 "Bills that get passed are the bills that the hearing room is full," said Bobbie Jager, school choice outreach coordinator at the Cascade Policy Institute. "They're bills that make senators take notice that it isn't just their opinion, it's their people and their constituents that want something, and things move usually that way." Jager isn't a hardened political operative. She got her start in politics after she was named 2012 Oregon Mother of the Year. After the honor brought her to the Capitol to address legislators, she was asked to lead a group of parents advocating for education reform. If you're passionate about an issue — affordable housing, for example, or criminal justice reform — find a group that shares your interests and point of view. They will track proposals that could become law. Julie Parrish represented Tualatin and West Linn in the House for eight years until she was defeated for re-election in November. "We're all a special interest at the end of the day," Parrish said. "If you're a veteran, if you're a senior, if you're a mom with kids in school, (you) have an interest in what happens in our government. And there's some group out there that is speaking with your voice, and so go find them, and get involved with them, and they will help mentor you as well." Parents and families of people with disabilities have proven some of the most successful lobbyists, Parrish said. "We worked on things that mattered to families because families showed up," Parrish said. Most legislators want to stay in office, so they pay attention to what their constituents want. Many also hold town hall meetings in their districts where constituents can share their ideas or concerns. To find your representative and senator, go the legislature's home page at www.oregonlegislature.gov. Beware of emails from advocacy groups asking you to click a link to send a form letter to legislators. It may be convenient but doing that can result in thousands of identical messages that pile up in lawmakers' inboxes. "Most of those aren't read," said former state Sen. Alan DeBoer, a Republican from Ashland who didn't seek another term last year. If you have the means and time, testifying in person can be an effective way to influence lawmakers. If you let your legislator know you'll be in town with a few days' notice, many will meet with you. "I believe that at any level of government, direct interaction is probably the best way to go," said JoAnn Herrigel, deputy director of Elders in Action, a Portland group that advocates for older adults and educates citizens on the state and local political process. If you're keeping track of a bill and see that it has a public hearing in a committee, you can testify. You don't need permission to appear as a witness, which means you sit before a committee and share your thoughts about the issue it is considering. You also can submit your opinion in writing to be considered by committee members. "I think personal stories go a long way," Herrigel said. Knowing your subject will make your comments more compelling. A wealth of information on many topics is on the Legislature's website, and with a little practice it can be a helpful guide. The legislative website provides direct access to each piece of legislation and its journey through the process, so you will know what committee is considering a bill, when it has been voted on by the committee or a full chamber, and its next step. You can sign up to get email notice about any particular piece of legislation so you can be aware of hearings and when to provide testimony. And try tapping your local network for insights, including people who have served in office before or in another level of government. City councilors, county commissioners, school board members and other local officials are easy to reach and are familiar with the Legislature. How much influence you have can come down to politics, said Rich Vial, a Republican who served in the House for two years. "Right now, partisanship decides what issues are going to get hearings, what issues are going to get leverage, what issues are going to get any kind of traction and what issues aren't," Vial said. "If it's not one that the majority party is interested in having go anywhere, forget it." Frustrated by the power that the majority party holds, Vial wants to make the Legislature nonpartisan. Many lawmakers fill their days with 15-minute "speed dates" with lobbyists, Vial said. Those lobbyists have influence over what lawmakers do because they hold the purse strings for campaign donations, which can be critical to getting reelected. But, as a citizen, you have one other powerful tool at your disposal if you don't like what your lawmaker is doing: your ballot.